I spend pretty much all day every day with a big smile on my face. Getting to hang out with Opeie and watch him develop into the tower of awesomeness that he is is so rewarding. Although I am completely smitten and smiling from ear to ear, some days my little side kick takes that smile of mine to the next level. 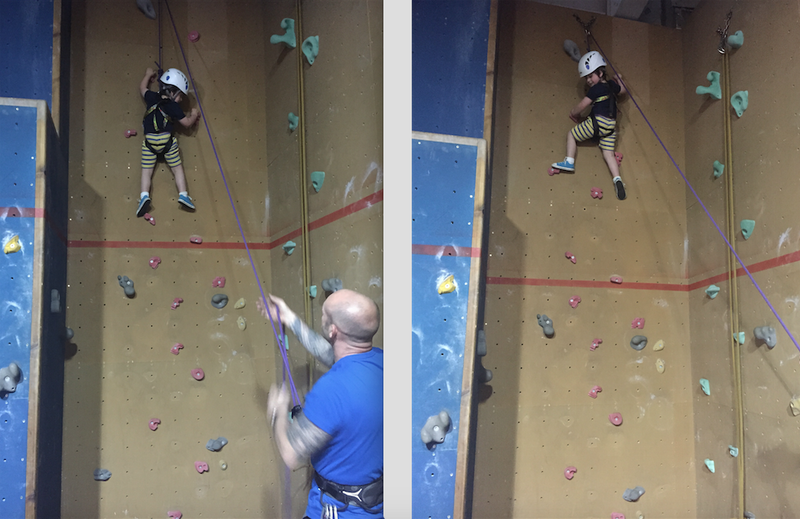 We'd not had a great session at Opeie's Rock climbing last week, there was lots of moaning and "I can't do it". I'm not the sort of parent that pushes and pushes but I will continue to encourage him until it's clear he doesn't want to go any further in whatever he was doing. As I listened to a parent in the car park outside from the class before, telling her child he was basically useless, made no effort and they won't be coming again it just reinforced that I'm doing the best for Opeie. I put the session down to an off day (we all have them). He was still looking forward to the following session though which was great. When this weeks session came round Opeie was feeling pumped but was a little deflated when he found out his climbing buddy had chicken pox. When we arrived though it turned out that we were the only people there which was great. There were no distractions and Opeie was like a climbing machine, up and down each wall with not a single "i can't do it". he was having so much fun that as he was climbing he started humming himself a James bond style theme tune which was so funny. 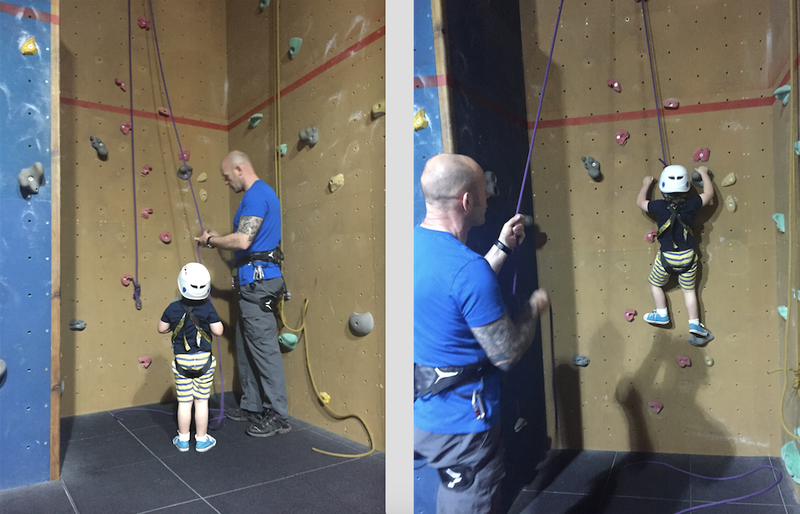 With all the children's climbs done there was still time to spare so Neil asked Opeie if he would like to try the grown ups wall which Opeie was very excited about. I didn't think he would climb that far but he was in the zone and just went for it, it was so lovely to watch. Starting climbing has been one of the best things we have done so far as it has given Opeie so much more confidence. Its great seeing his determined little face as he makes his way up, assessing his position and thinking of each move. I'm really hoping it is something he sticks with as i would love to give it a go myself at some point soon and it would be s nice to be able to do it together somewhere down the line.